When Culver City and Santa Monica compete against each other, it’s like USC versus UCLA — an intense rivalry. When the two schools step out on the track inside the Jerry Chabola Stadium on the Culver City campus today (Thursday) at 2:45 p.m., spikes will be flying. Both teams have outstanding talent and both teams have great coaching staffs. For the first time in a few years, the Vikings will be favored over the hometown Centaurs. If the Centaurs four teams expect to win, the stars will have to shine. 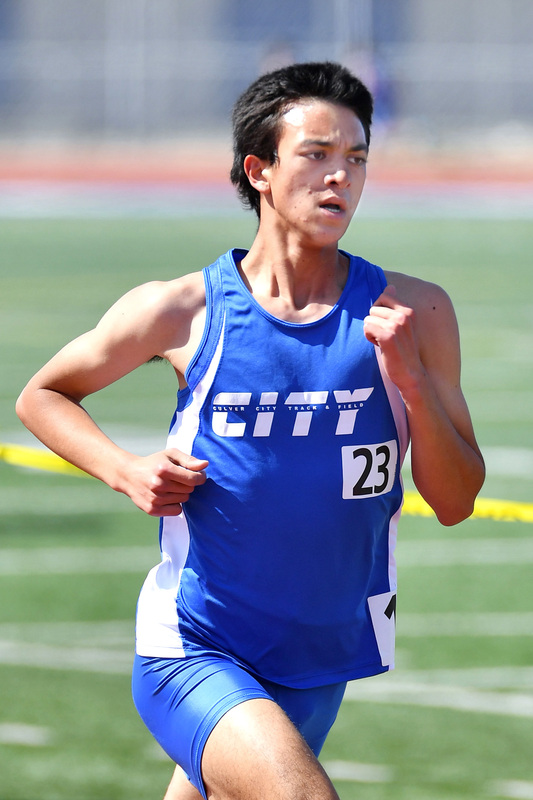 Last Saturday, Rostamian ran a personal best of 1:58.46 in the 800 meters. He finished third out of 50 runners. Reliford ran a personal best of 50.40 in the 400 meters and finished second out of 27 runners. The 4X400 meter relay team finished in first place out of 12 teams with a time of 3:26.15. The four runners on the relay team were Evans, Hollier, football star Tyler Luckett and Reliford. According to coach Wright, this team can run faster. On Friday the girls’ frosh/soph 4X400 meter relay team set a meet record which pleased the girls head coach Rayfield M. Beaton. Although Beaton was happy with most of the performances on Saturday, he knows the team needs to improve if they expect to do well in the postseason. “It was a pretty good showing,” said Beaton last Saturday. 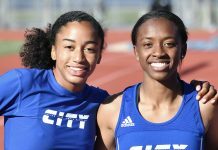 “I was really pleased to see our young relay team set a meet record but overall we need to get better.” Beaton knows you are only as good as your last meet and Santa Monica will be a good challenge. “We need to win the meet against Santa Monica. It’s a very important meet but we need to worry about ourselves and stay focused. In other Culver City sports, the 11-4 baseball team will travel to Lawndale today and they will play at home against Hawthorne on Tuesday. Both games will start at 3:15 p.m. 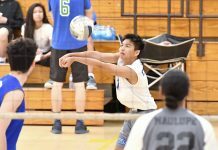 Boys volleyball is 8-8 overall and 3-2 in the Ocean league and they will battle Lawndale today at Lawndale and they will stay on the road to play Hawthorne on Tuesday. Both games will start at 3:13 p.m.